DSP-spectrometer is a high performance digital pulse processing system, employing adaptive matched filtering to process signals from semiconductor detectors. A built-in Multi-Channel Analyzer (MCA) is capable of capturing 4K spectra. The analog part employs well known differentiating and P/Z circuits along with programmable amplifier. It replaces the shaping amplifier of a typical spectroscopy equipment. 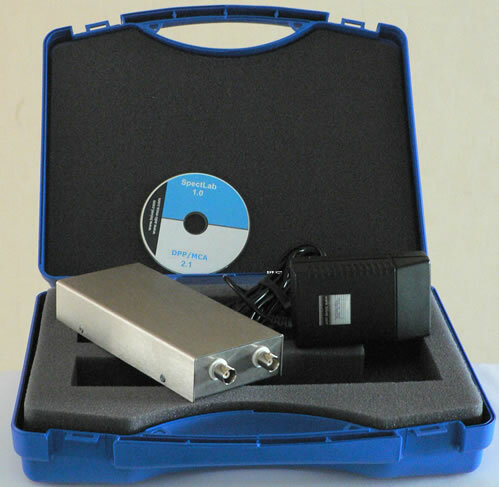 The digital pulse processing part incorporates specialized custom signal processing core and MCA, optimized for fast spectra capture and transfer. Collected spectra is continuously transferred for visualization to a Spectroscopy Analysis Software using USB interface. 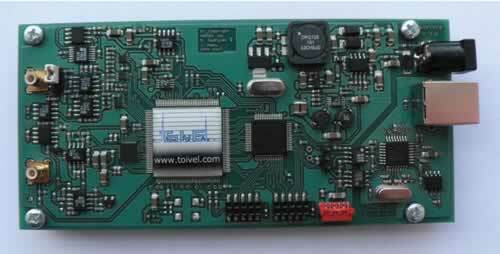 This digital pulse processor has remarkable performance both in low and high count rates and works with virtually any semiconductor detector system.